Many of us have years and years worth of old photographs laying around that we would like hold on to for ourselves and for our children. Scanning photos is a great way to preserve them from damage or loss for future enjoyment. Once your pictures are scanned, those images will never degrade like the originals may. No doubt, the best way to scan photographs is by using a flatbed photo scanner. 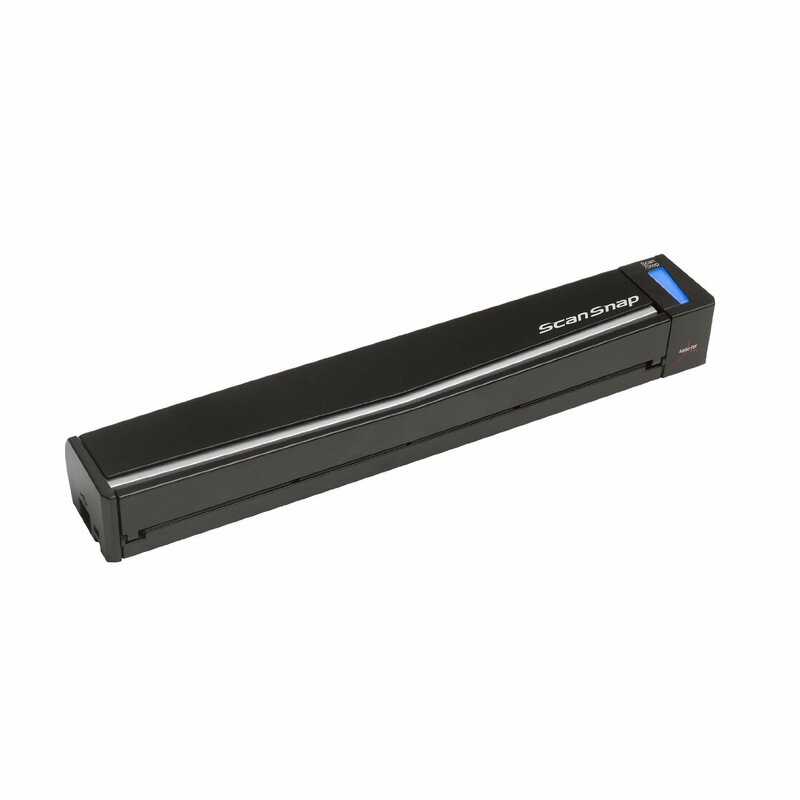 However, these scanners can be bulky and can take up a lot of room on your desk. The process of scanning with a flatbed can also be slow as each photo is loading onto the glass and the scan is run. A faster way to do it is to buy a portable photo scanner. These scanners are much smaller than a standard flatbed and usually go through the scanning process much more quickly. The quality of the scans will not be as good as with a flatbed photo scanner and the scanner software may not allow for much photo editing if there is any at all. But if you have a bunch of photos that you just want to archive and maybe share online, then you may be willing to lose some quality in the interest of ease and speed. Or you may want a unit that is portable for taking over to family member’s houses to capture some of their photos. In those cases a compact photo scanner may work best. The Kodak P811 can scan any size photograph up to an 8” x 10” size. It is a compact unit and weighs a little under 2 lbs. It runs off of batteries and scans images to a memory card, so that means you do not need to be plugged into a computer for scanning. Photos can be scanned at either 300 or 600 dpi which is usually more than enough resolution to produce good images from prints. This Kodak scanner uses Easy Share software (similar to their cameras) that allows for easy transfer and sharing of your images online. The Pandigital SCN02 can scan photos up to 4” x 6” so it’s a bit smaller than the Kodak. It only weighs 8 ounces and is 6 inches wide, so very compact. It also scans to a memory card or can scan directly to your computer without any software. 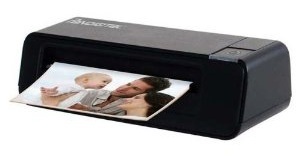 Photos can be scanned at up to a 1200 dpi resolution. There is no software included with this scanner but instead you work with the outputted jpg file. 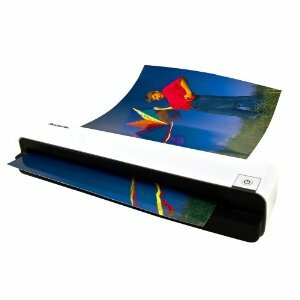 This Pandigital photo scanner can scan larger photos, up to 8.5” x 11’ in size. It weighs a bit more than the SCN02 at 1.6 lbs and is also a bit larger in size. It can scan to an SD card or directly to your computer through a USB connection. Photos are scanned at either 300 or 600 dpi resolution. 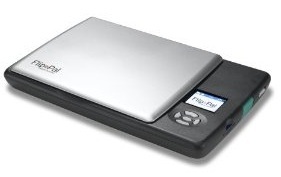 This unit does come with basic software for scanning to your PC, but there is no photo-editing functions which is the norm with these portable scanners. The Flip-Pal is a very unique little scanner that can be used for scanning photos as well as many other items. One nice feature of the Flip-Pal is that you can scan photos in a photo album without having to remove them. That is because of the flip design that allows you to place the scanning bed on top of the object to be scanned. The Flip-Pal is battery operated, scans to an SD card and weighs 1.5 lbs. It can scan at 300 and 600 dpi. It also comes with color restoration and stitching software. The latter allows you to take multiple scans of a large item to “stitch” together into one image. The Wolverine Data SNaP100 is technically a converter and not a scanner. That means that it takes a picture of your pictures that is then converted into a digital file which is probably a bit faster than scanning. The outputted file is a 5.1 megapixel as far as quality. The Wolverine converter also converts slides and negatives to digital images in addition to photos. Conversions are made to the internal SD card making this unit computer-free like the others. It can handle photos up to 5” x 7”.